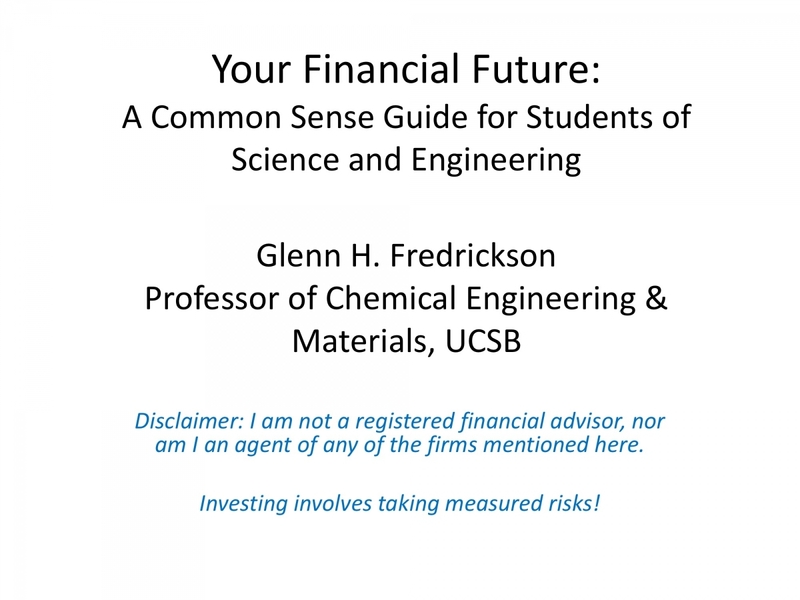 On January 23, 2017, Professor Glenn Fredrickson partnered with GSDS to hold a “soft skills” workshop, where he outlined investment strategies for students to consider in their careers. Retirement may seem eons away during graduate school, but investing early and steadily can make an incredible difference, so he encouraged students to start saving and investing as early as possible. He graciously shared his slides, which are meant to be a resource rather than an expert set of guidelines.